Maddie and Ian's romance began with a chance encounter at a In the most explosive and twisted psychological thriller since The Woman in the Window, a beautiful marriage turns beautifully bad. To ask other readers questions about Beautiful Bad, please sign up. Geraldine The grandparents adopted them :} !!! Does anyone believer the boating accident at age 10 really made Maddie become who she became. Because I'm not buying it? Emily Greenwood Lack of oxygen probably caused her to have a brain injury. Brain injuries can change your entire personality so yes it is possible. After a reading experience like this one I have to wonder, am I just a silly woman blinded by optimism or a glutton for punishment? I think in this instance, I have to go with the latter. There were too many telltale signs, and pretty early on I might add, that I chose to ignore. Things that could never be resolved with the turning of more pages. A frantic 911 call draws readers in initially, but the bloody crime scene sparking the plea for help proves to be the strongest pull—an opportunity to After a reading experience like this one I have to wonder, am I just a silly woman blinded by optimism or a glutton for punishment? I think in this instance, I have to go with the latter. There were too many telltale signs, and pretty early on I might add, that I chose to ignore. Things that could never be resolved with the turning of more pages. A frantic 911 call draws readers in initially, but the bloody crime scene sparking the plea for help proves to be the strongest pull—an opportunity to put those literary acquired sleuthing skills to use. As any good detective knows, going back to the beginning is often pivotal for gaining background on suspects and even possible motive. And so it begins, in Eastern Europe. Annie Ward tries to sell readers on the past with the introduction of two carefree, adventurous American girls living their best lives drinking and partying it up in war-torn Eastern Europe, but I can’t say I was buying. Maddie and Jo could tell me over and over, until they were blue in the face, that they were best friends. The lack of substance to their relationship said otherwise though. And honestly, theirs wasn’t the only one. The girls kept company with four British bodyguards, one of whom managed all too easily to finagle his way between the so-called besties. And why, I still can’t figure out. Far from charming, Ian brings very little, if anything, to the table. The worst part, NOTHING significant transpires between Ian and Maddie to warrant nine years of torch carrying. Yeah, you read that right, nine. Timeline shifts offer a reprieve from the couple’s lackluster start. Maddie’s present state—now estranged from Jo and married to Ian—accompanied by notations of time in relation to the opening scene. It's the blood-soaked floor in their suburban home that serves as the finish line. Overall, the presentation is scattered and messy, much like the wayward woman Ward attempts to put on display. The unraveling of Maddie and Ian’s truth is torturous. Ward’s overly wordy writing often works against and even overshadows the storyline itself. More time is spent regaling readers with useless bits of information, rather than solidifying the connections between her characters or adding credibility to their struggles; which is precisely why this novel didn’t work for me. The lack of emotional depth offered little choice but to float along the periphery of the story, which honestly, I despise. I’m a reader that wants more than just words typed on a page; I want to immerse myself in the story and feel every moment. And, even if I could somehow wave a magic wand and overlook my inability to connect, the mystery itself is so darn obvious. In fact, the predictable plot and unreliable narrator are enough to incite feelings of déjà vu. Chances are, this is just a much wordier version of some story your eyes have met before. Janie I didn’t like this book either! Myrna Interesting books are not always winners. Sorry it was a dud. Hope your next book is a winner! Oh madness...my sweet embraceable you. This is a tale about a tangled web of desire, deceit, and paranoia. If you don’t drink vodka, gin, scotch, or bourbon at the beginning of this story, you may be indulging by the end of it. Who desires whom; who deceives whom, and who is paranoid about what? And how does all this lead to….MURDER...REDRUM? This story begins in Bulgaria, or does it begin in Kansas or maybe Macedonia? Is it when Maddie meets Joanna, or Joanna meets Ian, or when Maddie meets Ian? Or does the story really start with an incident on a Missouri lake, back in the States, before any of them meet? They are friends, but not really friends as a group. They might hang out together at parties in Skopje, but really Joanna is friends with Ian, and Maddie becomes friends with Ian, but when they are together, somehow Ian has to choose. They are all adrenaline junkies. Maddie routinely crosses a very unstable border from her home in Bulgaria to go to Macedonia to see Joanna. Joanna is involved with some very shady deals, trying to secure supplies for refugees. She knows people, people who people like her should not know. Ian is a Brit on security details, but even after his time is up for Her Majesty's service, he continues to take dangerous security assignments in the hottest spots of upheaval in the world. Ian is tall. He is strong. He is handsome. He is exciting. For a girl like Maddie, a guy like that makes her go weak in the knees. Needless to say, relationships like these tend to fall apart under the very weight of the personalities attached to them. Each wants to be the center of the friendship, and eventually, someone has to spin off into an orbit all their own. Uhhh, you kinda did. As we get older, we start to realize that real friendships are truly rare gems, but to shine as brightly as they should, they do need to be paid attention to and frequently polished back to a high sheen. Annie Ward reveals this story in a mosaic of chapters. We go from 2001 to 2017 and all points in between. The chapters have been put into a blender, so 2017 might be before 2001, or 2010 might be before 2003. We begin in Meadowlark, Kansas, with a pool of blood on the floor, in 2017. By giving us a peek at a fragment of the ending, Ward enlists us as detectives. With rather diabolical subterfuge, we are fed clues in a haphazard fashion. I would be doomed if I were brought before a tribunal and asked when I knew what when. Each clue provides a puzzle piece that we have to snap down into place with, hopefully, a discernible picture visible by the end. A word of caution though: be on guard for the potential of an unreliable narrator. We are all masters at fooling ourselves. After all, to be successful at disseminating misinformation, one must convince oneself of a lie before one can convince others that a lie is the truth. Most of the time we don’t even realize we are lying. Statements like this one are interesting. Those are eternal love type statements that a person can always remember fondly when times get tough. Will things said or thought at one point in time be enough to avoid a tragedy at a future point in time? Ian is, frankly, shattered by the events he has seen. They are the types of things that cling to a person with ghostly hands, even long after he arrives back in Kansas from some godforsaken part of the world. Maddie isn’t the same person now either, or maybe the real Maddie is finally emerging from the swaddlings of education, experience, and beauty, that she wrapped around herself, and now she is like an Egyptian mummy rising from the dead by the elixir of love. She has a son now, and he is the sun and moon of her existence. Let’s not forget about Joanna. She may be the least changed of the three, but maybe that is because she was the most genuine to begin with, or maybe she was always the most crazy. Maybe all three are crazy. Intrigued? Well, you should be. You must accept, before you read this book, that you will be wrong in several of your suppositions. It won’t help that I’ve swirled my hand through the puddle of information and left you with a cloudy pool to peer into. It is nothing that three fingers of your favorite alcoholic beverage won’t set right. It might be best if you just buckle yourself into your favorite reading chair with this book in hand, put your phone on mute, and tell everyone to go duck off until you figure out what the hell is going on! I would like to thank Park Row Books for providing me with a copy of the book in exchange for an honest review. Jeffrey Keeten I’m glad you enjoyed the review. I hope you enjoy the book even more Erin! Beautiful Bad is a psychological thriller about a mysterious accident, a murder, and a marriage at its breaking point. While there are some interesting elements and one fascinating unreliable narrator, as a whole I struggled with the multiple POV’s and timelines. The book opens with a chilling 911 call in the small town of Meadowlark, Kansas. An investigator arrives a house in an upscale neighborhood to discover a lot of blood. Who the blood belonged to becomes one of the main threads of the st Beautiful Bad is a psychological thriller about a mysterious accident, a murder, and a marriage at its breaking point. While there are some interesting elements and one fascinating unreliable narrator, as a whole I struggled with the multiple POV’s and timelines. The book opens with a chilling 911 call in the small town of Meadowlark, Kansas. An investigator arrives a house in an upscale neighborhood to discover a lot of blood. Who the blood belonged to becomes one of the main threads of the story. The reader doesn’t find out until the end what exactly happened in this seemingly beautiful house. Switch to 10 weeks before the murder and we are introduced to Maddie, the main narrator of Beautiful Bad. It is her story to tell and her icy cold voice works to draw the reader in. In the present, Maddie is in writing therapy--she recently suffered a head injury and cannot remember how she was hurt. Her husband, Ian, told her she slipped and fell, but the police believe domestic violence is involved. In therapy, she focuses on her fears, especially on anything that could potentially harm her young son, Charlie. She needs to go back to the time before she was paralyzed by anxiety to understand her current state of mind. Switch again to the early 2000’s. Maddie recounts her years abroad and her adventures with her best friend Joanna and her romance with a British Soldier named Ian. The narrative follows Maddie’s relationship with Joanna and Ian over the course of many years, eventually leading up to the events that result in a murder. Told from multiple POV’s and covering many timelines, Beautiful Bad suffers from trying to do too much. I would have enjoyed this more if told only from Maddie’s POV. I found both Diane’s and Ian’s POV’s to be pointless. I enjoyed the chapters told from Maddie’s perspective--I had her figured out early on, but there was something about her voice that lured me and kept me interested in the events of the story. The pacing is slow, and at times, nothing of significance happens. I also found the outcome predictable. However, I was thrown by the final twist, as I hadn’t realized just how crazy the murderer was. While Beautiful Bad has its flaws, Maddie’s character makes for an interesting read! Thank you to Kim and Park Row Books for sending me an ARC of this book! Put on those detective hats and prepare for a heart-pounding thriller, sure to shock even the most masterful of sleuths! I was not at all prepared for the epic twist in this book. I think I've become numb to the formulaic twists and turns I'm accustomed to reading. This book, however, was NOT that. Annie Ward is supremely fresh in the way she writes, but also, in the way she can spin a tale. Jo and Maddie are thick as thieves, as close as two people can be without being related. This fact makes i Put on those detective hats and prepare for a heart-pounding thriller, sure to shock even the most masterful of sleuths! Jo and Maddie are thick as thieves, as close as two people can be without being related. This fact makes it unbearably cruel when a man comes between them, destroying their friendship. Maddie cannot believe that Ian is into her. Being Jo's best friend, she is no stranger to playing second fiddle. Jo has the looks and the charisma. Even so, to Maddie's delight, Ian wants her and this creates a massive chasm between them filled with jealously and hate. In addition, Jo knows there is something off about Ian and tries to warn Maddie again and again, but to no avail. Because.. after all.. Maddie ❝wasn't just in love, [she] was conquered❞. This wasn't just a psychological thriller, but also a meditation on friendship. I especially enjoyed the closeness that Maddie and Jo shared. Although it was a little predictable that a guy had come between them, it didn't bother me. That happens all the time, although, it shouldn't. This book also had some darker themes, involving abuse. This novel was well-written and was not only plot-driven, but character-driven, as well. Those are my favorite forms of suspense. I think it's all about balance, the Goldilocks formula, if you will. There shouldn't be too much or too little of one thing, and Annie Ward nailed it! Nine years after they parted ways, they are reunited, and embark on a torrid, yet disturbingly intense, affair which eventually leads t Beautiful Bad by Annie Ward is a 2019 Park Row publication. Julie Jess☺ wrote: "Brilliant review Julie!!! 😃"
Thank you, Jess!! 💕 Jess☺️ wrote: "Brilliant review Julie!!! 😃"
You know those twisty turny books that have you so wrapped up that you forget all else? Yeah, that is what this book did to me. Ten weeks earlier, housewife Maddie is attending writing therapy sessions to try and recover memories of the head injury she sustained. He 4 Stars. Ten weeks earlier, housewife Maddie is attending writing therapy sessions to try and recover memories of the head injury she sustained. Her husband, Ian told her that she simply slipped and fell. The police however, find her injuries suspicious. Maddie spends her days writing, hoping to remember what happened while also spending time with her son, Charlie whom she desperately wants to keep safe. Now, every moment is devoted to him. Ten years earlier, Maddie was a travel journalist on assignment overseas when she and a girl named Joanna became fast friends. There, they met Ian. Maddie became star struck. You know the story: Ian was tall, dark, handsome, enigmatic and mysterious. He also had a girlfriend and kept secrets. What more could a girl like Maddie want? Everything seemed fine until things start to sour between her and Joanna. If only she had some idea as to the cause. What follows is cut throat suspense! Maddie’s life didn’t turn out quite like she anticipated. But then I guess you already figured that out. Every moment of “Beautiful Bad” is choreographed to perfection. The story is chilling and had me wondering which narrator was reliable. At times, my heart was pounding in my chest and my eyes were darting back and forth desperately searching for clues. Admittedly, although I guessed the ending, it did not take away from my enjoyment of this crazy novel, as the anxiety and suspense ratcheted up and kept me glued to the pages. If you are looking for a high-end thriller, look no further. This was a buddy read with Kaceey which we both really liked! Thank you to Harlequin-Park Row for providing me with an ARC of this novel in exchange for an honest review. Published on Goodreads on 2.18.19. A whirlwind ride, guaranteed to keep you on your toes right to the end! Maddie wants desperately to explore the world. Living abroad has been her life-long dream. The freedom and excitement of working in Eastern Europe, far away from her family in Kansas, is absolutely intoxicating. And to top it all off…her best friend Joanna is just a border crossing away. Finally, a much anticipated visit to Joanna, and here we go! A night out on the town! The evenings’ festivities in Macedonia take a scrumpti A whirlwind ride, guaranteed to keep you on your toes right to the end! Finally, a much anticipated visit to Joanna, and here we go! A night out on the town! The evenings’ festivities in Macedonia take a scrumptious turn when Ian - British Military, enters the bar with his friend. Well, well…the sparks are flying everywhere! Told in multiple times lines and points of view. The future of Ian and his wife comes to a frightful head. A frantic 911 call. So who will walk away? Oh come on, you’ll have to, (actually, want to) read this one to find out! Annie Ward writes an ingenious, gripping psychological thriller that will shock you and leave you breathless! I was surprised. I was entranced! Couldn’t wait to see how far Annie Ward would take this thriller. Well apparently...right to the edge! Not sure if I’m in the minority with my thoughts on this. I’m noticing average to fantastic. I put it somewhere in between for several personal reasons. I struggled at times with the back and forth in time. It took me a while to get it all in my head, especially from the beginnings 911 frantic call the opens the book. It slowed down its pace and although I’m aware the information had to be narrated I sometimes got to a place in my mind where I wandered. That’s not saying it was useless information Not sure if I’m in the minority with my thoughts on this. I’m noticing average to fantastic. I struggled at times with the back and forth in time. It took me a while to get it all in my head, especially from the beginnings 911 frantic call the opens the book. It slowed down its pace and although I’m aware the information had to be narrated I sometimes got to a place in my mind where I wandered. That’s not saying it was useless information, not at all. I just wish it was just too many pages of facts at one time. Thinking about Ian and Maddie and how they became attracted to each other at the beginning was written really well. The chapter headings were brilliant as the lead up to THE DAY OF THE KILLING chapters came to the forefront. This author can really spin a tale when she’s writing the action scenes. This is a book written in reverse and written well. It worked. I think the books pages could have been shorter and skimmed down and still have impact on a reader. The narration although needed was just too many pages of information that I tended to wander off in my head. The actual psychological story was good, the ending brilliant. Publishers, please please stop comparing books to others. Let it stand in its own right. I’ve given this 3 stars as the ending redeemed itself. I really struggle with reviewing novels like BEAUTIFUL BAD. The novel has a lot of good points and an unusual premise, HOWEVER... it is a fail for me. Despite having several interesting passages set in foreign countries, the story moves at a snail's pace. I don't necessarily hate slow-reading novels if the author goes deep in character analysis. Unfortunately, two of the three main characters remain mostly superficial throughout the novel. There is a ton of wordage in BEAUTIFUL BAD and those millions of words are mostly wasted. Ughhhh. I'm not a fan of the excessive writing style. There is a very sad twist at the end, but it is by no means shocking and most psyche suspense lovers will guess it long before it happens. A slow burning domestic suspense with some page-turning chapters (at the beginning and the end). It also has a literary feel with the descriptive story telling and complex layered plot. It is well written with some interesting and flawed characters. Maddie and Ian have an intense relationship and we learn their backgrounds, history and what makes them click through the author's detailed writing and timeline that flip flops. There is a LOT going on this novel, almost too much. The timeline was quite challenging and I would find myself flipping back to the beginning of the chapter to double check the timing. Many of the chapters refer back to the crime in the first chapter. There are some past/present chapters that give us background into Maddie and Ian. I had a good sense of their dynamics. I enjoyed it after I was able to start putting pieces together, but it felt a bit too long and drawn out. Nonetheless, I wanted to pick it up and wanted to finish it and see how she wrapped it up (the end was twisted and I loved it). Quite a haunting tale- full of flawed characters, and some added intrigue of overseas destinations and adventure. This is the type of book you want your friends to read because you just know everyone's opinions are going to be all over the place and you can't wait to hear what they think. The things I enjoyed about the book could easily be someone else's least favorite parts. Some heavy subjects are tackled and certainly the chapters towards the end would provide material for a lively book club discussion. Near the beginning of the story you know a 911 call has been placed and a police officer arrives at a This is the type of book you want your friends to read because you just know everyone's opinions are going to be all over the place and you can't wait to hear what they think. The things I enjoyed about the book could easily be someone else's least favorite parts. Some heavy subjects are tackled and certainly the chapters towards the end would provide material for a lively book club discussion. Near the beginning of the story you know a 911 call has been placed and a police officer arrives at a home in suburban Kansas. The plot alternates between this which is referred to as "The Day of the Killing", and events in the past. Maddie and Ian meet at a party in Macedonia years ago and they are now married and raising their young son, Charlie. While Ian is away in Iraq doing security work, Maddie begins attending therapy sessions in which she slowly reveals the sources of her anxiety. Obviously you have to read the book if you want to find out how everything is connected. I honestly think the length of this book could have been trimmed by about 50 pages as it felt very slow moving at times. But despite that, I really was caught up in the story and seeing how everything pieced together. I loved how some of the story took place in the Balkans as the social climate there added to the tension plus it's it's not a setting I typically get to read about in fiction. This book is already being compared to other recent best selling psychological thrillers which I don't really agree with. I feel like when a book is promoted like that you just automatically expect all of these dramatic twists and turns and end up feeling disappointed if you are able to predict things before they happen. I think if you just watch this story of a married couple unfold naturally and as more of a general fiction book, you will have a better reading experience. Oh yeah.....a chilling start.....and a wicked end.....my kind of read! The storyline..........follows a talented American travel writer (Maddie) on assignment in Eastern Europe....who often visits her spirited best friend (Jo)....soon falls in love with her new surroundings....AND a handsome, but damaged British bodyguard (Ian). BEAUTIFUL BAD..........begins present day with an urgent domestic violence 911 call, then quickly flashes back to ten weeks before (as the countdown begins)....with a disturbing list of fears Maddie reveals during a therapy session entitled: "Things that make me scared." And then we go back to the past..........learn more about our protagonist's night life activities & friends and ride along with Ian as he works in dangerous war-torn countries nearby. For me, the three alternating timelines, varying POV's, and complex plot with flawed characters flowed well resulting in a short day-and-a-half read. Honestly, at one point I was so engrossed with the European character driven story of the past that I was actually flummoxed when we returned to the present bloody crime scene. Nice! No doubt about it, there is more BAD than BEAUTIFUL here with lies, evil doings, mysterious accidents and haunting memories from the atrocities of war, but I loved it! Annie Ward made my head spin with this absorbing and wild read. I had no idea what to expect with this book, in fact for some reason I thought it was about a beauty pageant gone wrong, so boy was I surprised when I started this one. In fact at one point I looked back at the cover to make sure I was reading the right book. This book was gritty and raw, and oh so good! I love a book that keeps me off b beautifully dark, deeply disturbing, utterly deranged, extremely deceitful, and deliciously bad! This really came around at the end with a delightfully twisted finish. This being said, there were parts of this that definitely dragged for me. Upon reflection, I honestly think 50- to 100-pages could have been cut from this. The setting of this was definitely unique. Beginning in Kansas, then shifting back in time and taking us over to Eastern Europe, Iraq and back to the United States, this was one of my favorite aspects of this book. It's not often you read an Adult Thriller that has Macedonia and the Balkans as a backdrop. Maddie, working as a Travel Writer, meets Ian while visiting her best friend, Joanna, in Macedonia. Joanna is working for a relief agency at the time and Ian is in private security. Along with some other Brits and Americans living there at the time, they chum around, drinking and getting to know one another. Maddie is quite taken with Ian from the very beginning and despite Joanna's warnings, she ends up with major heart eyes for him. Jo and Maddie have a huge falling out because of this and don't speak for many years after...but she ends up marrying Ian, so there you go. ...sometimes interesting, occasionally not. Also, at times, not super believable. The fact that Joanna and Maddie call each other 'best friends' is astounding. They are pretty terrible to each other. With friends like this, who needs enemies? Slowly, we piece together Maddie and Ian's courtship and marriage, as well as the birth of their only child, Charlie. Their relationship is also terrible. It's never great. The fact that they are trying to sell this story as a beautiful marriage gone south is laughable. The pace definitely picks up towards the end and although I managed to piece it together prior to the reveal, I did hella enjoy the ending. So, props to you, Annie Ward! I was satisfied with this and happy I read it. I would recommend this to people who enjoy literary fiction with a mysterious or thrilling twist. Avid Adult Thriller readers may be slightly underwhelmed. megs_bookrack Kat wrote: "Excellent review megs!😉💖"
I may be nuts, but I was not crazy about this story. Amongst all the glowing reviews, including one by a GR friend with whom I invariably agree (helloooo Carol! ), you are going to see this rather lackluster rating of mine. It may be nothing more than having read an overabundance of this genre, and finally OD'ing on this one. Multiple time lines and POVs are starting to wear thin, too. In all fairness, there were a couple of little tweaks Copy furnished by Net Galley for the price of a review. Alarming start, questionable middle & a beautiful bad ending! BEAUTIFUL BAD by ANNIE WARD starts off with quite the bang and is graphically intense with some cringe-worthy scenes that definitely gave me the heebie jeebies. It is just too bad that those feelings didn’t continue on for the duration of reading this whole book. The storyline gave me something to think about and I could feel the obsessiveness & anxiety levels emanating throughout the pages of this book but somewhere along the Alarming start, questionable middle & a beautiful bad ending! BEAUTIFUL BAD by ANNIE WARD starts off with quite the bang and is graphically intense with some cringe-worthy scenes that definitely gave me the heebie jeebies. It is just too bad that those feelings didn’t continue on for the duration of reading this whole book. The storyline gave me something to think about and I could feel the obsessiveness & anxiety levels emanating throughout the pages of this book but somewhere along the way I started questioning the storyline and wasn’t too fond with the way that some things unfolded. There was a lot of unnecessary information and not enough pertinent information. I love unreliable characters but for me this felt more like an unreliable storyline which I kind of have a pet peeve with. I want a storyline to have subtle clues sprinkled throughout and I don’t like to feel manipulated and that is exactly how I felt here. ANNIE WARD delivers a slow-moving, intriguing and well-written read here that is told from multiple POV’s and a vast timeline spanning a little over 10 years. Now the way that this story was formatted with the chapter headings and the various timelines leading up to “THE DAY OF THE KILLING” was actually quite clever and definitely held my interest and fascinated me. I thought this part of the story was rather gripping and I quite enjoyed Maddie’s perspective. I can hardly believe that I am saying this but I didn’t really buy into Maddie and Ian’s relationship. I do believe in love at first sight (I’m 26 years happily married after a whirlwind romance) but I just didn’t believe it here and “get” their attraction that they had for one another. Regardless of not connecting with these characters and storyline as much as I would have liked I do feel that this thriller will be a well-liked and hit with other readers. I do hope that you enjoy this one much more than I did!! Cover: Intriguing, eye-catching, appealing, ominous and a fitting representation to storyline. I absolutely love this cover and I think it is quite beautiful for a thriller. This is another book where the cover definitely made me want to read this book. Title: Intriguing and a fitting representation to storyline. Writing/Prose: Well-written, engaging and readable. Plot: Slow-building, steadily paced, intense, suspenseful, thought-provoking and complex. Ending: A predictable outcome with a surprising final twist that kind of shocked and excited me. Overall: I didn’t necessarily find this a thrilling escape but I did rather enjoy the atmosphere and setting to some of the backstory making this a good reading experience. Maddie and Ian meet each other overseas when he’s in the British army, and she’s a travel writer visiting a friend, Jo. Almost twenty years later, they have a son named Charlie and are living the American dream together. There’s a camping accident, which leaves its mark on Maddie emotionally, and she seeks therapy. In those sessions, she reveals Ian’s PTSD symptoms, her worries over Charlie’s safety, as well as the complicated past she and Ian have with Jo. Then, “The Day of the Killing” happens where a 911 call brings the police to the house. Who is the victim, and who is responsible for the murder? Beautiful Bad is a slow burning suspenseful read with several surprising twists. I was invested in these characters and gripped by this story. Secrets, Lies, friends, and murder. Without giving anything away, I think the title could not be more apt. Overall, Beautiful Bad is a new thriller on the block and one not to be missed! So disappointing! I REALLY wanted to love this book... my gosh did I struggle with this. I of course had a feeling that I would be the minority in this one... because I keep seeing 4-5 stars on this? Am I missing something here? I really struggled with the multiple point of views and the timelines in this one. I was really struggling with all the war information and in all honesty... in the middle was just unnecessary information to the plot. I feel that a HUGE chunk of information could have be So disappointing! I REALLY wanted to love this book... my gosh did I struggle with this. I really struggled with the multiple point of views and the timelines in this one. I was really struggling with all the war information and in all honesty... in the middle was just unnecessary information to the plot. I feel that a HUGE chunk of information could have been taken out. Yet again here's another book with way too many pages!! I think the author was struggling with this and trying to pack way too much into this book. I think if the POV was strictly told from Maddie's point of view .. it could have taken a stronger turn here. I enjoyed the beginning about Maddie and Ian and the story behind their attraction but I unfortunately can't say I enjoyed this story as a whole. I found the outcome to be predictable and the ending twist wasn't enough for me at all to be unique. This reminded me of yet another thriller that has already been played out before. 2 stars for me on this one. Huge thank you to Harlequin/Park Row, Kim and Netgalley for the opportunity to read this in exchange for my honest thoughts. I have to say “ Beautiful Bad” was beautifully written that had me totally in its spell from the very beginning. The title is so apt, we definitely had the beautiful and a hell of a lot of BAD!! Wow what a start!! There is an emergency call to the police with a woman shouting for help and a child screaming in the background. The police arrive and there are signs that a violent act has been committed!! Told over several timelines and from different perspectives. 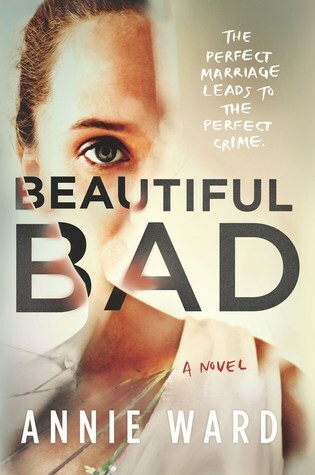 Maddie is overseas teaching English I have to say “ Beautiful Bad” was beautifully written that had me totally in its spell from the very beginning. The title is so apt, we definitely had the beautiful and a hell of a lot of BAD!! Told over several timelines and from different perspectives. Maddie is overseas teaching English and a travel writer, her friend Jo is a relief worker. Through Jo she meets Ian a Bodyguard who has travelled to dangerous countries and witnessed atrocities that has affected his character. In the present time Maddie and Ian are married but there are signs that maybe this not a happy marriage. Maddie is left scared after a fall but cannot remember how it happened. Could Ian have hurt her? This is definitely a story that will keep you gripped throughout, there is so much going on that before you know it you will have finished the book. We have lies, friendship, murder, secrets and terrifying accounts of the war. Without giving anything away this book has several twists which took me by surprise. Thank you to Netgalley for my review in exchange for a review. A psychological thriller, with a the theme that seems to be marital abuse. The book goes back and forth, starting in 2001 when the couple first meets and moves forward from there, and current day, when they’re married with a young child. You’re given glimpses of what’s happened. You know Maddie recently had an accident while on a camping trip and did some major damage to her face and possibly her brain. You know there’s been an incident at their house and the police woman who first enters the house finds a large pool of blood. You know that Maddie’s best friend, Joanna, tried to convince Maddie not to get involved with Ian and the friendship ended over this disagreement. But what happened to make Joanna believe he was a bad bet? Was the accident at the campgrounds truly an accident? Whose blood is it on the kitchen floor? We hear from both Maddie and Ian. I can’t say I related to either character. And other than believing in love at first sight, Ward doesn’t really provide any proof for us to figure out why these two would fall so hard for each other and carry such strong torches for each other through the years. But I give Ward credit for trying to make both characters appear sympathetic. The best friend, Joanna, also never comes off as anything other than two dimensional. It’s a very fast read with short, punchy chapters. I can’t say it thrilled me but I enjoyed it enough to finish it in a single day. My thanks to Park Row Books for an advance copy of this novel. In a small town in Kansas, a 911 dispatcher receives an emergency call involving a possible home invasion or domestic disturbance – a woman’s voice, screaming for help, a shrieking child heard crying in the background. Diane Varga is the first officer on scene. She rings the doorbell, yells, “Police!”. Receiving no answer she looks through the window, and sees blood – a lot of blood. Something terrible has taken place at this quiet residential address in a nice neighbourhood. Re 4.5 Rounded Down. In a small town in Kansas, a 911 dispatcher receives an emergency call involving a possible home invasion or domestic disturbance – a woman’s voice, screaming for help, a shrieking child heard crying in the background. Diane Varga is the first officer on scene. She rings the doorbell, yells, “Police!”. Receiving no answer she looks through the window, and sees blood – a lot of blood. Something terrible has taken place at this quiet residential address in a nice neighbourhood. Rewind to Macedonia, 2001, where American Travel Writer, Maddie, meets British Security Officer, Ian, and a toxic relationship begins. Whew, I had firmly settled on a 4-rating, but those last approximately 50, mind-altering, pages saw me upping it to 4.5. Talk about shocking! Definitely a few surprises I didn’t see coming. This one’s more of a slow burn – character rather than action driven – delving deep into the psychological ramifications of Maddie’s relationship with Ian, and what motivated both characters to end up the way that they did. The flashbacks set in Europe did get a bit tired after a while, but the last 20% showed just how important and relevant every scene that took place back then was, so pay close attention, the payoff is worth it! I feel it’s important to state that even though this book is advertised as domestic noir (which parts of it definitely are), a large chunk of it takes places in Eastern Europe – Bulgaria, Macedonia, Bosnia – with graphic depictions of poverty, violence, and war, which could be disappointing to readers expecting a straight-up domestic thriller, and may not be the right read for others. But as I said above, those events are crucial to the plot. This isn’t much of a spoiler, so I will also mention that there is some animal cruelty in the form of a cat being poisoned. It takes place off site though, and when mentioned, doesn’t go into any kind of vivid detail, so cat lovers should be okay. You’ll need to be on the ball, because there are three separate timelines to keep track of – the day of the 911 call, titled The Day of the Killing (Officer Diane Varga POV), twelve weeks beforehand, working forward (Maddie POV), and the years leading up to that day, beginning in 2001 (Maddie, and on occasion, Ian). Side note: Annie Ward excelled at writing a young child (Maddie and Ian’s son, Charlie). Some authors either make the mistake of having their preschoolers whine and be annoying, or remain silent in the background, barely speaking, but Charlie was well-characterised, intelligent and funny, with age appropriate dialogue and behaviour. Recommend to my fellow psychological thriller fans. I’d be keen to read more by Annie Ward. I’d like to thank Netgalley, Quercus Books, and Annie Ward for the e-ARC. “What do you fancy? The throat or the crap?” He pushed the menu in front of me. It was immediately obvious to me that whoever had translated “trout” and “carp” for the English menu had made some very unfortunate spelling errors. The toothless octogenarian playing the accordion suddenly fell upon our table like a vampire bat on a herd of cows, and I started digging through my wallet for a tip. And all the while I was sitting there getting my head wrapped in foil like it was a giant baked potato, these girls kept bringing me drinks. In retrospect I see very clearly that I should have been suspicious of a salon that felt the need to get you drunk before you see the results of their handiwork. Something profound had happened to me just before I lost consciousness. At the exact second that I gave up all hope of surviving, my mind sparkled with unhinged, ecstatic, unbridled euphoria, a joy of such magnitude that I was instantly captive to it, and of a replete and searing sensuousness so irresistible that I opened my mouth to take it all in more deeply. I knew with utmost certainty, as it were as simple as two plus two or the sky is blue, that there was nothing at all to fear. It's a sad thing when you don't have the grand experience as other credible reviewers, and it's certainly a new experience for me as I'm usually the one praising every amazing book. Needless to say, this one wasn't for me. A relatively quick read, Beautiful Bad felt incredibly long as I struggled considerably with the POV's and alternating timelines. I couldn't get a firm grasp on them or find any thread of investment and I found it frustrating. However, in the end, all my mental exertion didn't It's a sad thing when you don't have the grand experience as other credible reviewers, and it's certainly a new experience for me as I'm usually the one praising every amazing book. Needless to say, this one wasn't for me. A relatively quick read, Beautiful Bad felt incredibly long as I struggled considerably with the POV's and alternating timelines. I couldn't get a firm grasp on them or find any thread of investment and I found it frustrating. However, in the end, all my mental exertion didn't really matter in my opinion as the big reveal is meticulously spelled out in the last chapter... and unfortunately, I was not surprised. Let me remind you that many reviewers I admire have rated this title with 4 and 5 stars. A smaller number of reviewers I equally admire rated it lower like me. Maybe we're in the minority or maybe it's a love it or hate it experience. Either way, cross your fingers and check it out. Maybe you'll get lucky. Loved every bit of this dark and delicious tale! Thank you to Annie Ward and Harlequin-Park Row Books for this ARC, in exchange for my honest review. With it’s lovely cover and description, I had high expectations. I was not disappointed! The book grabbed my attention with the cover and kept me hooked until the very last page. If I hadn’t had prior commitments , I could have devoured it in one sitting! Maddie—We watch her transform from an adventurous and carefree young woman into an anxiety-ridden wife and mother. She couldn’t wait to leave her home in rural Kansas for somewhere more exciting. Her dream lands her in NYC, with a writing/teaching career, and then overseas as a travel writer. During her travels, she meets and instantly becomes best friends with Jo. Jo is presented as an outspoken, opinionated and carefree party girl. One of those friends that can get you in a lot of trouble. Maddie visits her frequently—in war-torn and volatile places—and joins in the partying. It’s on one of those visits that Maddie meets Ian and is instantly infatuated. He is a British soldier, full of life, with a girlfriend and a lot of secrets. It takes years for them to establish a relationship, but when they do, it’s intense and unstable....a lot like Ian. We get a well-developed picture of his PTSD, the horrible places he’s been and the gruesome things he’s seen—which turn him into the fearful and withdrawn husband and father he becomes. The book starts off with “The Day of the Killing” and then shifts between several timelines and the main characters all lead us through the same story, but with different POV’s and twists. I’ve had problems following this type of storyline in the past, but not with this book. I was frantically trying to figure out who was telling the real story. This would be a great book club book to discuss with others! Ward’s writing is beautiful and hypnotizing! She has become one of my favorite authors. The water poured into my mouth and down my throat. It took over and that was it. Everything was different. Maddie is married to Ian and they have a son named Charlie. There is a 911 call made to Maddie's house and the detectives get there right away to invest. Theres blood everywhere and a lot of questions to be asked. Maddie and Ian's love story started overseas. He was in the British Army and she is a writer who is traveling with her bff Jo to different places. One night they meet, hav 3 Stars! I really struggled through this book. I know it's been hyped up and I was so excited when I got an advanced readers copy. I typically give books up to 100 pages to really pull me in but this one was harder for me to get into. I thought this was going to be a thriller and it was definitely more of an emotional suspense. Maybe because I went in with the thriller mindset it ended up falling short. However, the story itself got boring at times. All the military and overseas background wasn't very interesting to me. I see how it added some to the story but I really could have done without most of it. Meredith B. (readingwithmere) KAS wrote: "Sorry you didn’t enjoy this one more, Meredith :( Terrific review!! Hope your next is a fantastic read!! 😊💕😊"
Meredith B. (readingwithmere) Nicola wrote: "Hope you move onto something great Meredith! 😊"
Beautiful Bad by Annie Ward is a psychological thriller that was slow to start but soon had me hooked. Maddie a journalist and Ian a soldier fall in love and eventually get married. They have problems from the start. Maddie has an accident while they are on a camping holiday and is left with a brain injury and no memory of the incident. I enjoyed this book except for the timeline going back and forward but eventually I saw the reason for this and it made sense. I would like to thank NetGalley and Q Beautiful Bad by Annie Ward is a psychological thriller that was slow to start but soon had me hooked. Beautiful Bad by Annie Ward is a psychological thriller that goes behind the facade of what looks on the outside to be a perfect family. The story within is one that is told from various points of view and various timelines actually starting off at the present when police arrive to a crime scene. The present story has readers on the edge as the police get a call from a frantic woman who gets cut off before giving a hint to what is going on. Then upon arrival find a lot of blood and the search and Beautiful Bad by Annie Ward is a psychological thriller that goes behind the facade of what looks on the outside to be a perfect family. The story within is one that is told from various points of view and various timelines actually starting off at the present when police arrive to a crime scene. The present story has readers on the edge as the police get a call from a frantic woman who gets cut off before giving a hint to what is going on. Then upon arrival find a lot of blood and the search and investigation begins to find out just what happened. The rest of the novel alternates in various points of Maddie and Ian’s lives, how they met, the time apart, when they finally come together as a couple, getting married and having a child and all events leading to the police arriving on their doorstep in the present. With Beautiful Bad I honestly would have to warn away anyone that prefers a clean one timeline/one point view type of story as this one was one that is very complicated. Sometimes I find books of this nature easy to follow but while I understood what was going on I couldn’t help but ask myself was all of this actually needed? The story in the present was quite compelling and the end was a solid wrap up but the middle seemed to want to want to wander the scenic view through the past that got a bit slow leaving me to rate this one at 3 1/2 stars.